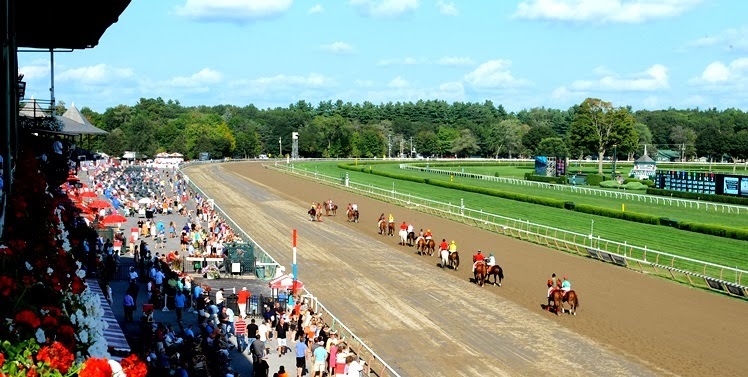 Yes, a little concentration on Summer at Saratoga--last year's and the coming one--certainly helps keep hope alive through this winter's arctic freeze and that dreadful flu that debilitated so many of us. Applications for season passes and seating will be in the mail soon. The 2014 meet is now less than 6 months away! In the meantime, we'll be reviewing last summer's meet. Just what many readers have been waiting for. 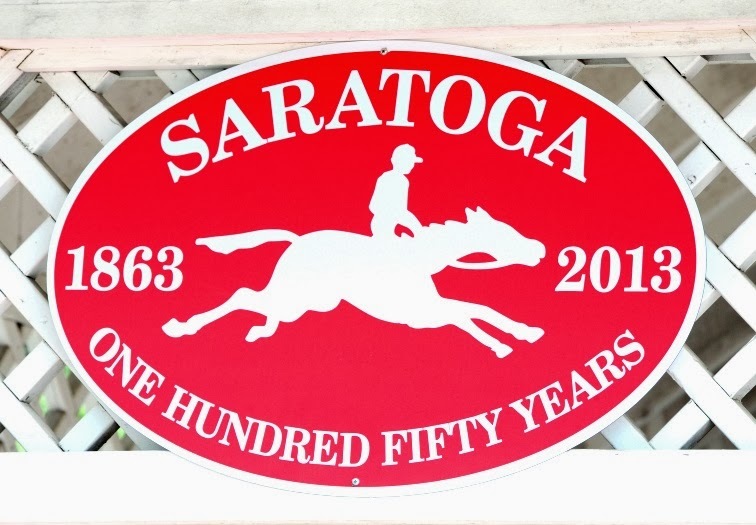 Indeed, Saratoga Highlights, year after year, has been the most popular feature on New York Court Watcher. 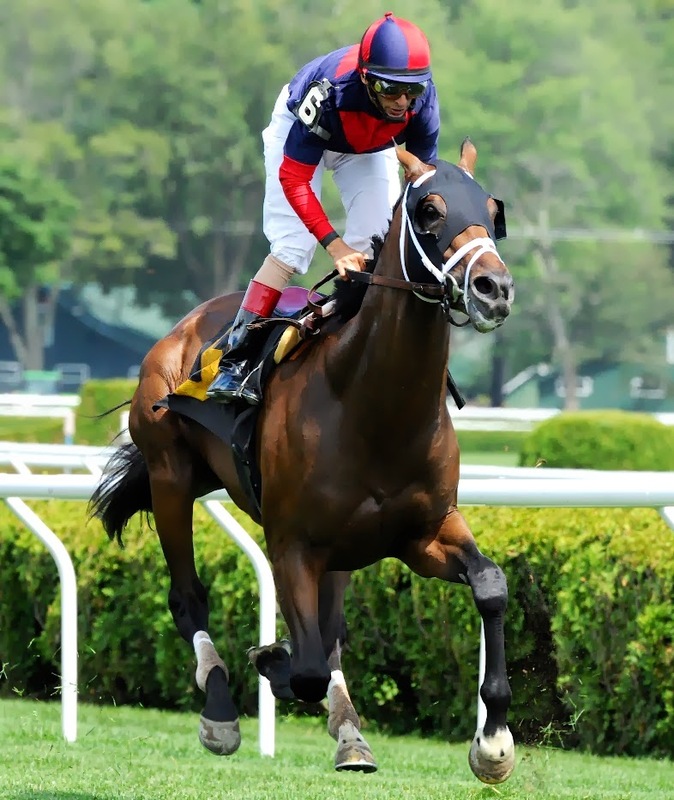 We'll pick the best of the 2013 meet and adorn the selections with the magnificent photos of (Albany attorney, cameraman-on-the-side) Bob Mayberger, and NYRA photgrapher Adam Coglianese. And what an extraordinary meet 2013 was. If you were there, you know. If you weren't, you heard or read about it or you watched on TV. 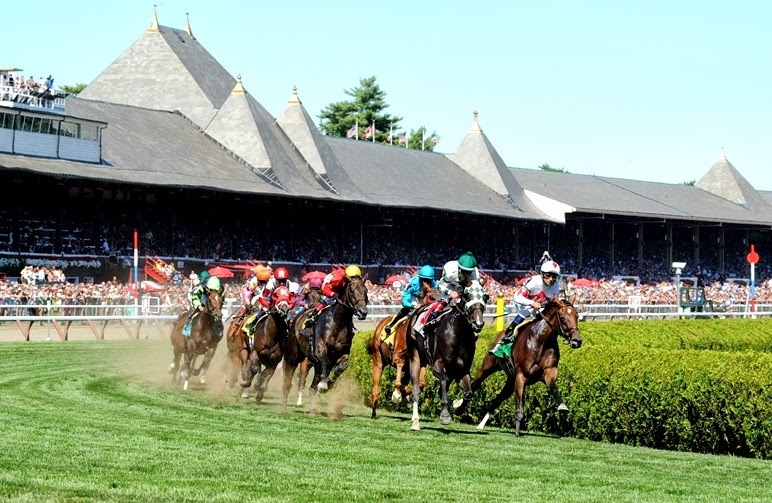 So let's look back at those glorious 40 days of the best athletes--the thoroughbreds and the jockeys--best trainers, best purses, best crowds, and best races anywhere. Oh, and the best, most historic, most tradition-filled, most spiritual (Oh, yeah, it's the Cathedral of racing; you feel it when you're there.) sports venue in America. From the James Marvin on opening day to the Hopeful on closing. In between, the Coaching Club American Oaks and the Sanford; the Jim Dandy and the Diana; the Prioress and the Amsterdam; the Whitney and the Vanderbilt; the Fourstardave and the Saratoga Special; the Sword Dancer and the Alabama; the Ballerina, Ballston Spa, King's Bishop, Test, Personal Ensign and The Midsummer Derby all on Travers weekend; the Forego and Woodward; the Saranac, Spinaway and Glens Falls to wrap up the meet with the Hopeful. 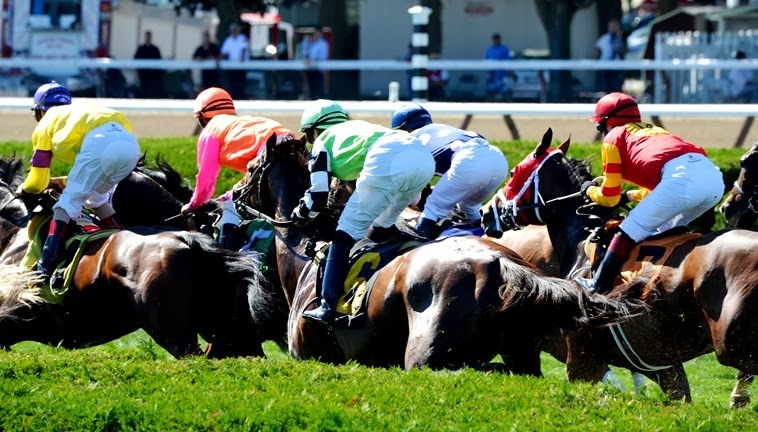 And more than 300 other thrilling runs by some of the world's most gorgeous, talented, courageous animals and their astonishingly skilled, athletic, and gutsy riders. There was Princess of Sylmar, Wired Bryan, Authenticity, Hessonite, Palace Malice, Dance to Bristol, Lighthouse Bay, Laughing, Forty Tales, Cross Traffic, Justin Phillip, Wise Dan, Notacatbutallama, Corfu, Big Blue Kitten, Sweet Lulu, Capo Bastone, Will Take Charge, Royal Delta, Saratoga Dew, Silver Max, Strapping Groom, Alpha, and Strong Mandate. 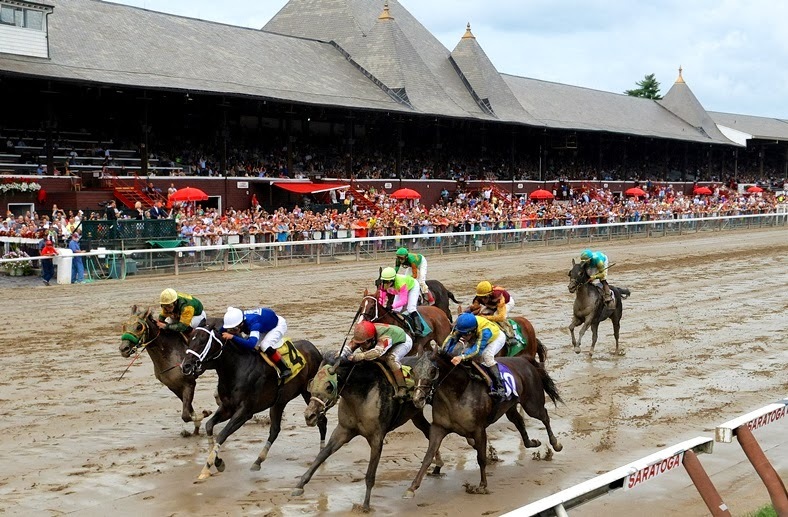 And those were just the winners of some of the signature Saratoga stakes. What can you say? Amazing! Great! Awesome! Wild! Glorious! Heartpounding! Overwhelming! All that and more. 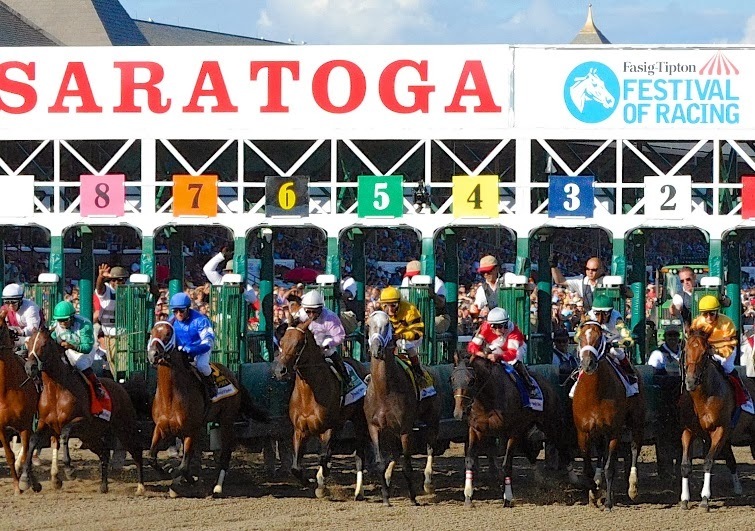 We'll begin with the Top Ten of 2013 in the next post in this Saratoga Highlights series. We'll start right at the top with the (meaning my) #1 of the meet. Readers may not agree with my ranking. But they will surely agree that each of my pics was indeed a fabulous highlight. Live with Jobim on guitar. (At 3:06; other songs with Jobim before and after.) Or same (at 3:50).